What do we really need to survive disaster? I just ran across a great website called Survival Cache! Follow this link to their 100 suggestions about stuff you need and what disappears first in a disaster. It’s a thorough and fascinating list. In the first four episodes of This Plague of Days (to be released soon!) the Spencer family is under siege from the world flu pandemic. 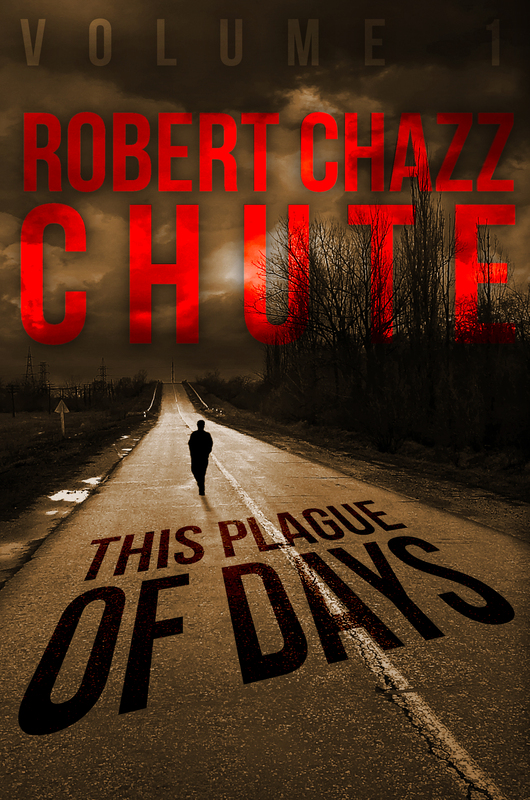 Until the Sutr Virus hits here, you could read these books by Robert Chazz Chute. Just sayin’. They stock up on what they can as prices soar and canned goods are flying off the shelves. I’ve seen that happen personally on a small scale. During the SARS crisis, you couldn’t buy a bottle of hand sanitizer for any price where I live. The supplies were all gone in the worry and panic over SARS. Then, at the end of the first season of This Plague of Days, the crisis shifts. Over the next four episodes, The Spencer family loses a lot, including much of their cache of emergency supplies. Once they’re on the run, they can’t take everything they need. Then they can’t carry everything they need. When traffic jams block all escape routes, survivors have to get innovative. What do we absolutely need and what luxury will feel like it weighs a ton by the fifth mile of our hike to safety? Individual capacities will vary. Maybe you’re a Marine who can huck a heavy ruck 25 miles a day, but what weight can your ten-year-old daughter carry? Is the weight in the harness rig on your dog balanced? Can grandpa walk out of the flood zone unassisted or should he stay behind and hope for a helicopter? Do you have alternate escape routes and fallback positions? What’s the backup plan behind the backup plan behind the backup plan? When many people think of prepping, they picture a fortress, panic rooms, a bunker, a defensible Wal-mart or a castle with a moat. They picture infinite supplies and relative comfort. But what if the hurricane takes away your supplies and screws up your plans for holing up and waiting out the flood, fire and armies of crazed zombies? To be zombie-ready, we have prepare to be mobile, too. Get out your clipboards, pack and repack and weigh. Start crossing stuff off your awesome list. Figure out what gets packed in the basement, the family van and what you can carry on sore, aching shoulders to safety. *More on go-bags in a coming guest post by friend and fellow author Jordanna East.